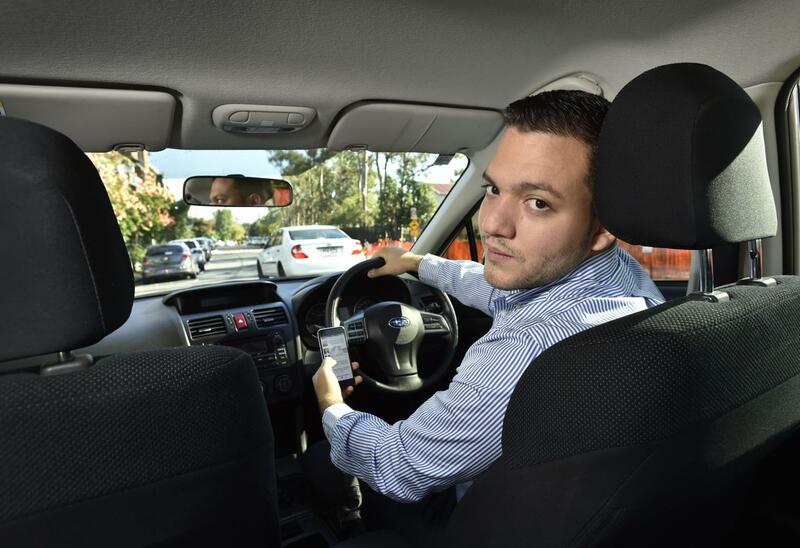 With mobile phone use by drivers now a reality, a groundbreaking QUT review looking at the issue as a task-sharing problem has recommended further research into how to make the practice safer. Oscar Oviedo-Trespalacios, from QUT's Centre for Accident Research & Road Safety – Queensland (CARRS-Q), said previous studies had attempted to measure system outcomes or driving performances independently but this was the first to consider how the actual interaction with mobile phones affects driver performance from a systems perspective. "Sometimes it will be critical for people to be able to use their phone but we can look at how to make it safer which is a completely new approach to the distracted driving problem" said Mr Oviedo-Trespalacios who has just published the results of his PhD research – Understanding the impacts of mobile phone distraction on driving performance: a systematic review – in international journal Transportation Research Part C: Emerging Technologies. "There are two important considerations. One is that the enforcement of mobile phone usage while driving is expensive and difficult and the second is that data worldwide shows even with extensive law and enforcement people use their phones anyway. "So research into the interaction between drivers and mobile phones could provide input for countermeasures to regulate usage and achieve safe driving-mobile phone integration. "If a driver is using their phone in an unsafe situation based on traffic complexity, for example, an alert could be given, either through the phone or the vehicle – perhaps like an alarm noise or screen blackout – as a prompt for them to get their full attention back on the road. We could also develop phone software able to select how tasks must be performed while driving to ensure safety is maintained. "There is so much focus on driverless vehicles and safety features like automated braking or reverse parking that will have safety benefits in the medium or long term. Yet the intensive promotion of automation could cause policy-makers and vehicle manufacturers to overlook the dangers posed by mobile phone distraction today." Mr Oviedo-Trespalacios said studies show mobile phone conversations quadruple the likelihood of crashing. His review analysed an extensive body of research on mobile phone distraction on driving performance from 2005-2015. "People who use their mobile phones while driving tend to slow down but they don't necessarily see pedestrians, often swerve out of their lane and are less in control of their steering and brake pedals. "We are not going to turn back time and stop people behaving this way so instead we should look at how we can use technology to make mobile-phone technology safer while on the road." Mr Oviedo-Trespalacios' PhD research project was supervised by Dr Md. Mazharul Haque, Dr Mark King and Professor Simon Washington. The full report is available online.